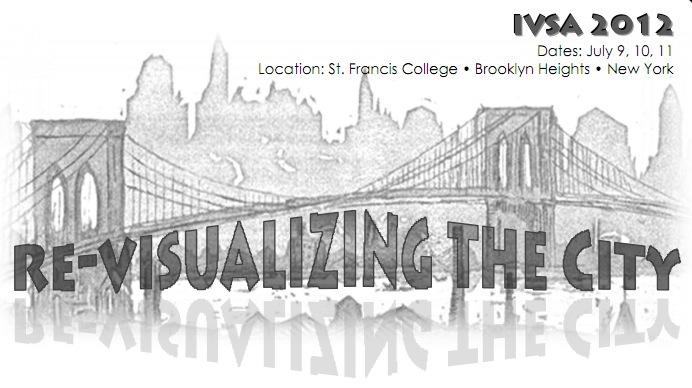 “Re-visualizing the City” Call for papers for the IVSA 2012 International Conference, 9th to 11th July 2012, St. Francis College, Brooklyn, New York | Building the Future of Augmented Humans with a Balanced Judgment, an Understanding of History and, above all, a Sense of Purpose. This entry was posted in Digital Citizenship, Digital Trends, Environment and Sustainability, Innovation, Media and Education, Politics, Technology and tagged International Visual Asoociation conference 2012, IVSA, IVSA 2012, IVSA conference 2012, IVSA2012. Bookmark the permalink.